Currently operational in the coastal city of Karachi in Pakistan, it is the very first time that China has brought its full, highly accurate Beidou system, to a foreign nation. The system was initially launched after discussion with Pakistan's Strategic Planning Division for military applications and with Pakistan's national space agency, Space and Upper Atmosphere Research Commission for civilian use under an agreement in 2013. During the initial phase, the first ground based augmentation system is to be installed in Karachi. Providing a safer and more reliable alternate to the American GPS, the new navigation system will offer better precision and accuracy as more satellites and reference stations are gradually launched. According to the agreement, China provided the Beidou-equipped infrastructure for government and military use at subsidized costs which included the building of differential ground stations that increase the system's accuracy on the ground. Once the second stage is completed, the whole area of Pakistan will be covered. Based in Beijing, the UniStrong Science and Technology Co, navigation satellite system, positioning and timing service provider, has five base stations and a processing center in Karachi since May 21, 2014. Zhang Ruifeng, head of the Unistrong's publicity department, gave details that the network installed in Karachi is the full Beidou system with a 2-centimetre accuracy rate. This can be extended up to five millimetres after post-processing and has hitherto been unavailable outside China. The arrangement transpired as a result of Chinese Premier Li Keqiang's trip to Pakistan in May 2013, where both countries enhanced their strategic cooperation in inter-connectivity, maritime cooperation, aerospace and aviation. Pakistan is the first country in the world to sign an official cooperation agreement on BDS, especially in the fields of aerospace and aviation. Experiencing difficulty at first in finding a suitable site for the navigation system, Wang Yun, manager of UniStrong's product department and leader of the construction team in Karachi, related how she and her team walked around barren hills for days, “because in this arid area, there was scarcely any Internet or communication services, and there were no compatible devices for BDS, we had to keep walking to try and find a proper site." After the selection of the location, the high precision network took some months to complete and now it enhances the efficacy of basic geographic surveying, land management and port dispatching at a lower cost. As to Pakistan's concerns, BDS has a vast number of military and civilian uses, it helps with urban planning, surveying, mapping environmental supervision, disaster relief efforts, traffic monitoring as well as space technology. While space technology applications are widely used by shipping lines and airlines, it is also a strategic milestone as BDS will prove to be a revolutionary development for defence and security mechanisms by providing dual navigational layers. After covering the rest of Pakistan, the company looks ahead to equipping more Belt and Road countries with the satellite navigation system. With plans to expand cooperation involving BDS to Thailand, Sri Lanka and other countries in Southeast Asia, the company aims to continue the establishment and joint construction of base stations as well as to participate in international scientific and technical development and research on BDS. Most of the countries participating in the Belt and Road Initiative would be offered the navigation system as part of economic diplomacy. Other notable global navigation systems are Russia's Glonass, the European Space Agency's Galileo and the United States' GPS. As of now, the vision of BDS is to spread beyond the borders of China. Professor Li Deren from the School of Remote Sensing and Information Engineering of Wuhan University said, "Our priority is to expand BDS from China to the frontline of the Belt and Road Initiative, and in this Optics Valley Beidou is a pioneer." Finally, Beidou is projected to complete global coverage with 35 satellites by 2020, meeting national security requirements by ending military reliance on GPS as well as availing of the quickly expanding market. Though both GPS and Beidou signals are free services and there is no rivalry over any market share, owning and operating one of only four such international navigation systems carries its own clout. The navigation satellite system brings enhanced prestige and diplomatic opportunities for China as well as leverage to obtain more influence in several international and regional organizations that deal with global satellite navigation issues. 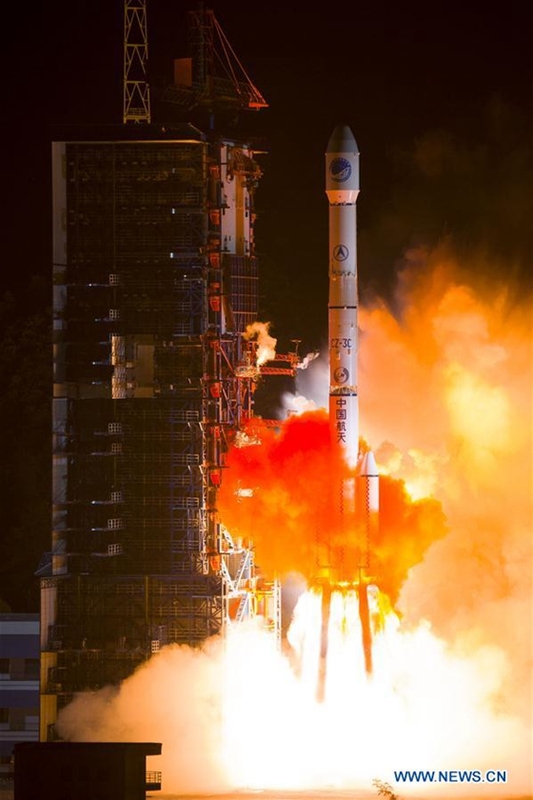 Lastly, this development also establishes China as a leading space power, Beidou has often been referred to as a top space project and it is expected to provide international cooperation opportunities once a Chinese space station is fully functional and in orbit by 2020. Beidou navigation satellite system brings enhanced prestige and diplomatic opportunities for China as well as leverage to obtain more influence.